I've taken many bus journeys over my 37 years to places far and wide. I’ve seen many place’s and things. That's the rich tapestry we call life. Last October I took a bus ride to a birthplace. A place where a culture was born thats both changed and shaped my life along with the world to a greater sense. The Bronx is a breeding ground of talent. Many have been raised in its streets and homes. From humble beginnings to icons of individuality. This is the place my good friend Ray West dwells. Bronx born and raised since day one. He's a prime example of a man who's very essence is enriched with the boroughs almost palatable vibe. He's an old soul. A man who's not one driven by ego but of love and a thirst for knowledge. He's not about financial gain or fame. He's only concerned with the preservation of culture. The one we call Hip-Hop. He met me from the bus next to a Dunkin donuts shop with a handshake and the warmth of friendship. This was the first time we'd met in the physical after a good year or more of conversation via email. It was great to finally meet. We walked to his mothers' family home talking about how my bus ride had been. I told him I didn't pay. My English-ness had been my charm it seemed. Upon arrival the home looked like any other. My point of reference for American homes is of course television/film and this fitted the bill. It was nearly Halloween and decorations were out. The street overall looked the part. my surroundings looked almost familiar to me. Straight from the American films of my youth. We entered the house and weaved our way to the basement. As soon as I entered I was hit with a smell. By no means a bad one. It was a smell of records, a lot of records. Racks upon racks, crates upon crates of vinyl. I was in Aladdin's cave. It was overwhelming. Collectables and comics were on the walls. Crates of magazines from years go by. It was my Mecca, a place of worship. A cathedral of culture and artistic endeavors. Ray humble as ever could see my excitement. I felt like a kid in a sweet shop. The basement runs the length of the house. I followed Ray to the control room. It was full of incredible vintage equipment and classic samplers. Big speakers and yet more records and tapes are around me captivating me. So much to take in fighting for my attention. Its low lighting gives off an aura. I felt in a place of incredible creativity. I'd never had that feeling before. It was inspiring and enlightening. Making the connection between his music I've bought and supported over the years to now being here was humbling. It was a full circle experience. I felt like alice stepping through the looking glass. Ray then showed me the vocal booth. Stepping in to a place where both AG and Kool Keith have spit their vocals was nerve jangling. I closed my eyes and heard their lyrics in my head. With my mind fully blown we went back into the control room. I'd brought Ray 3 45's with me as a gift. He loved them. We played them. I saw from his face as they spun that he was already thinking of ways to flip them. Creativity. He lives it with every sound he creates/manipulates. We talked music and things he was working on. I got to hear some exclusives ahead of time. My mind was blown. As we chatted we exchanged thoughts. It's a humbling thing to be asked your opinion/what you think by someone as inspiring as Ray. I guess that's what makes him the man he is. He's always open to others thought patterns. He wants to share ideas. We discussed some future projects together locking in ideas. We laughed a lot sharing stories. I took a ton of pictures. Ray encouraged me to do so. I was snap happy I must admit. Everything was perfect to be captured. I think in my own way I was preserving the basement for the future. A visual record. You can see them below. I'm very proud of how they turned out. When I look back at them I'm transported to that moment. Lets go right back to the start. When & where were you born? To give your story (in later life) context can you explain your family’s dynamic back at that time? I was born in 1976 in the Bronx NY. My parents were in they're early 20s at the time they had me. My father was an electrician apprentice and my mother was a stay home mom who taught piano on the side. Were you raised working class or lower middle class? We were from a working class family. All my grand parents and parents were hard workers. They all instilled the importance of work ethic and anything that's worth something comes from determination. The images of the Bronx from that time period depicted a tough & deprived environment. Looking back now is that something you would agree with? How did that effect your childhood? I was fortunate enough to grow up in a good area of the Bronx. The surrounding areas were tough but I was in a good working class pocket. It was still the Bronx but it wasn't run down and forgotten like the other neighbourhoods around us.You always had to be careful and the Bronx will make you street smart. Especially during the 80s crack era. Things seemed to be moving really fast from a child's perspective. Were you a good student? Back then was the education system in good shape? I was a decent student I was just uninterested. Honestly by the 5th grade the majority of my days were focused on rap music. It was conversations about the Fat Boys, Biz Mark, LL, Doug E Fresh and Slick Rick. I could never get all the way into the books. I did enough to keep my parents and the teachers happy. It didn't always work though lol. I think the educational system was always stressed in the city. More children than the system could handle. Some teachers get burnt out. If your family is able to afford a smaller school you will be better off. All depending on what the kid puts in. Was the Bronx a multi cultural place? I ask in relation to the gentrification of the boroughs of New York in more recent times. How has it changed your environment? The Bronx has always been multicultural. We always had different sections but people merged. Nowadays I'm still in the same neighbourhood I grew up in and I still really dig it. For me it was a great place to grow up. It had enough shelter to be safe but also enough room to get in trouble. A good balance. You said conversations about Hip Hop and that leads me to ask about the other aspects of the culture Graffiti, Breaking and DJ’ing. Were you aware of those elements early on or did you have to seek them out so to speak? The South Bronx being the home of Hip Hop must have meant you saw many icons around on the humble. I was definitely aware. There were two DJs on my block. People were breaking and popping. I was watching Beat Street and learning about the Rock Steady Crew. As far as graffiti, the area I come from is the home of spray can legend SEEN. I remember seeing him do a mural in a school yard when I was very young. Seen is a true pioneer & Hip Hop legend from my neighborhood. As a young kid which aspect intrigued you most? Did you try rhyming? I was most intrigued by DJ’ing and records. 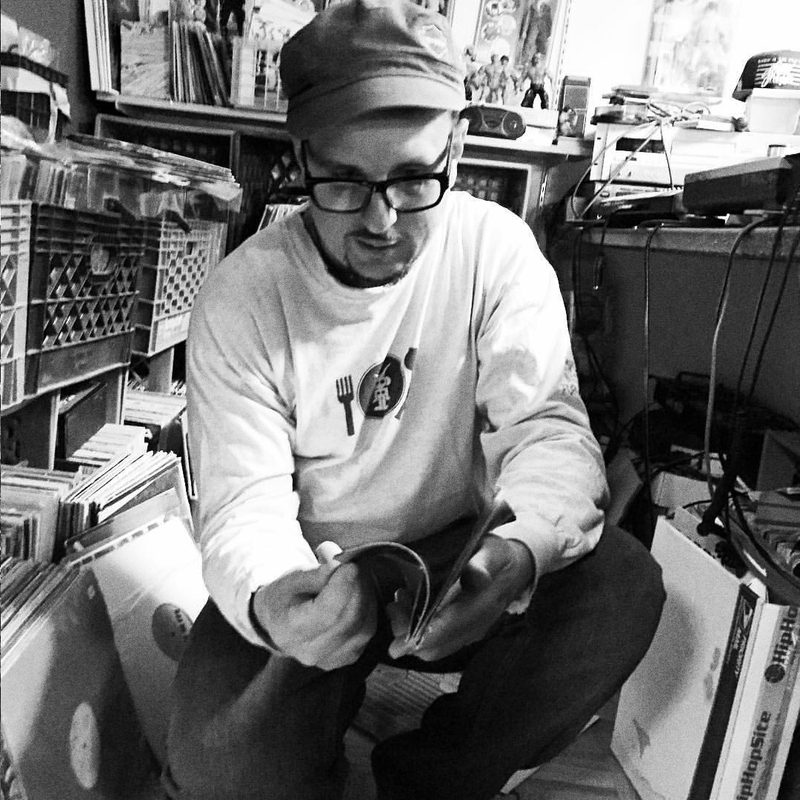 By 12 years old I had turntables and had already been collecting rap records. I did write graffiti when I was younger. Just using pilot markers catching tags. I was rhyming in the park. Free-styling. I didn't take it to the next level. I was more into DJ’ing. Guys like Red Alert, Kid Capri and Lord Finesse were my DJ inspirations. You said your mother taught piano. Did you learn to play? I ask because your music has many levels. I presumed that you must have a good understanding of instrumentation to achieve that from either playing or listening to records. I never learned the piano unfortunately. But I play small progressions by ear. The whole learning music throws me off. So I just play with the keys in my own structure and I do what sounds right to me. I feel I can play any instrument if I try. It may not be playing them in the proper way though. I experiment. I have drums and percussion instruments that I incorporate in my productions. I use various synthesizers. Whatever sounds good to me I run with. 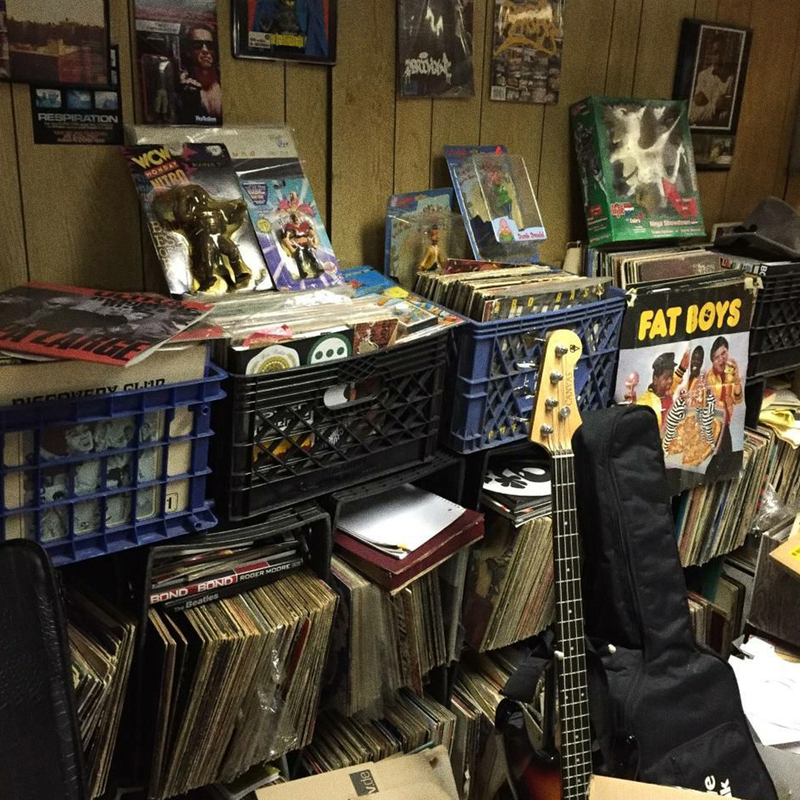 Were your father and mother collectors of records? From listening to your production I get that either they or someone else inspired you’re burgeoning love of records. My parents defiantly had records but they were not fanatical about it. They had a record player and a small collection. I still have all their records. My fathers' Jimi Hendrix records and my moms' Beatles & Michael Jackson records. Did your parents small but dope collection inspire you to cultivate your own? 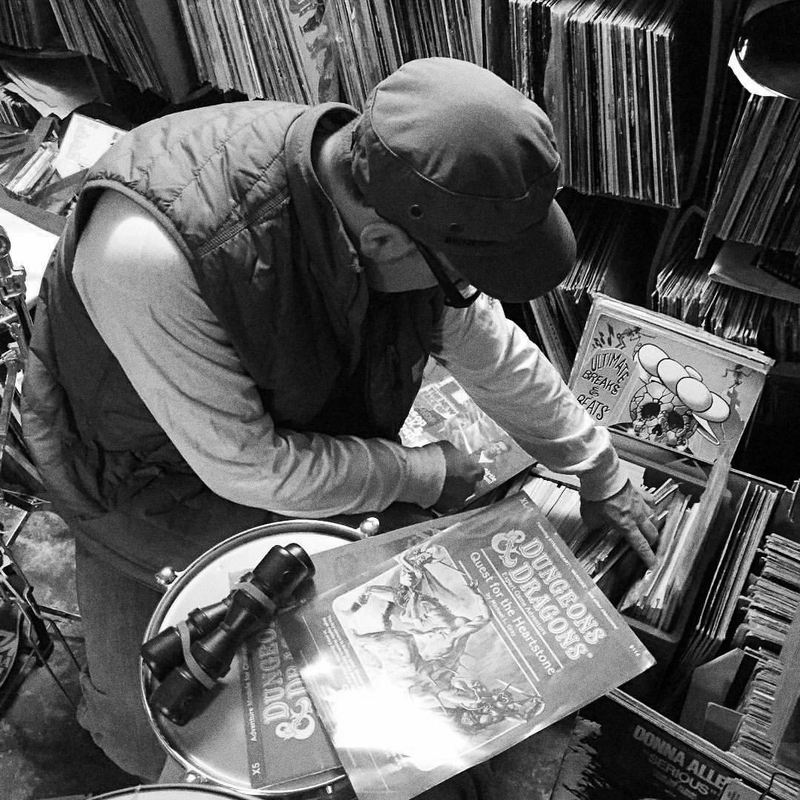 Can you recall those first few records you copped? My parents collection was the beginning of my collection. They defiantly inspired me. My first records were the Fat Boys and Run DMC's first LP’s. Back to your childhood when did you get your first set of turntables? Can you remember how you felt at that time? My first set of tables was at 12. It consisted of a home audio old school turntable and a technique belt drive turntable which had pitch control. An older DJ on my block gave me a Gemini mixer. It was limited but so was my skills and I was just learning and getting to understand how to mix beats and cut. 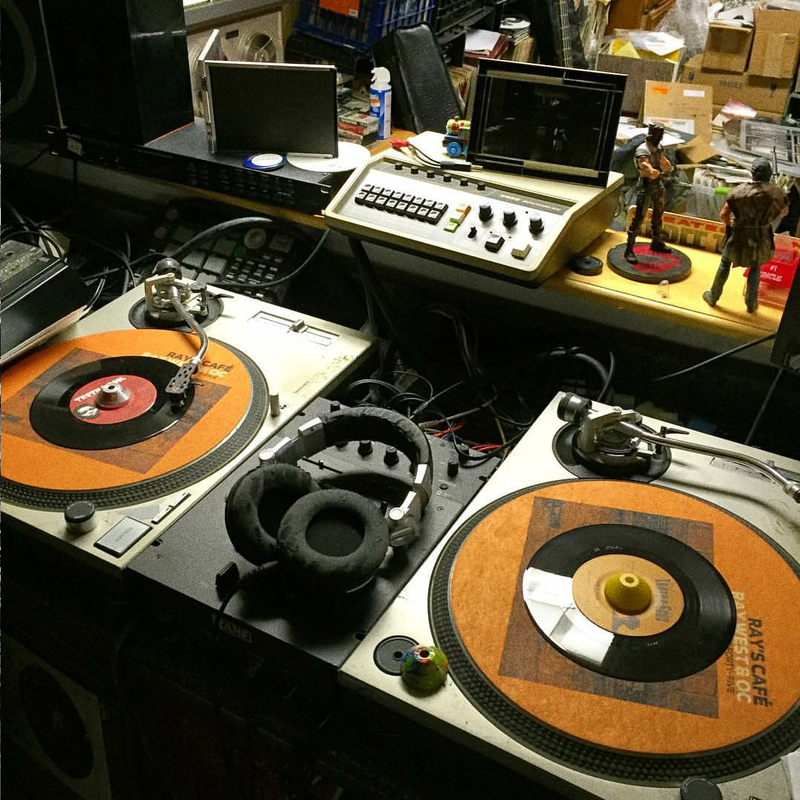 By the time I was 16 I had two Technic 1200's and I felt complete. From 12 years old on all I ever wanted for christmas or birthdays was another piece of equipment to get to that point of having all the right stuff. It was all I cared about. Once my parents saw that I was really sticking with this I think they embraced it more as far as getting expensive gear like needles and stuff. As a kid it all seemed so expensive and out of range. As long as I can remember I have loved records . But one of my most key memories is in the second grade my mother had a Halloween party and invited all the kids on my block in the attempt for me to make friends.The whole time I remember playing records for the party on an old turntable my parents had. Playing Halloween records and thriller from MJ. In retrospect It was the 1st DJ gig I ever had in a child's way. But the records & music made me comfortable. They always have and always will. Records have been my gate way to making friends and learning so much about life. Going places and meeting people I would have never other wise . I think that’s why records are such an addiction for many of us. It’s the music and the hunt for knowledge and experience. It never gets old . As you built your skills did you make mix tapes for yourself or friends? I ask because I made mad pause tapes in my youth. I made so many tapes. That was my only goal. I wanted to emulate Kid Capri back then. He was the best DJ to me. His tapes were like being in a party . So lets jump to the end of high school. What were your career plans? Had you contemplated working in the music biz? 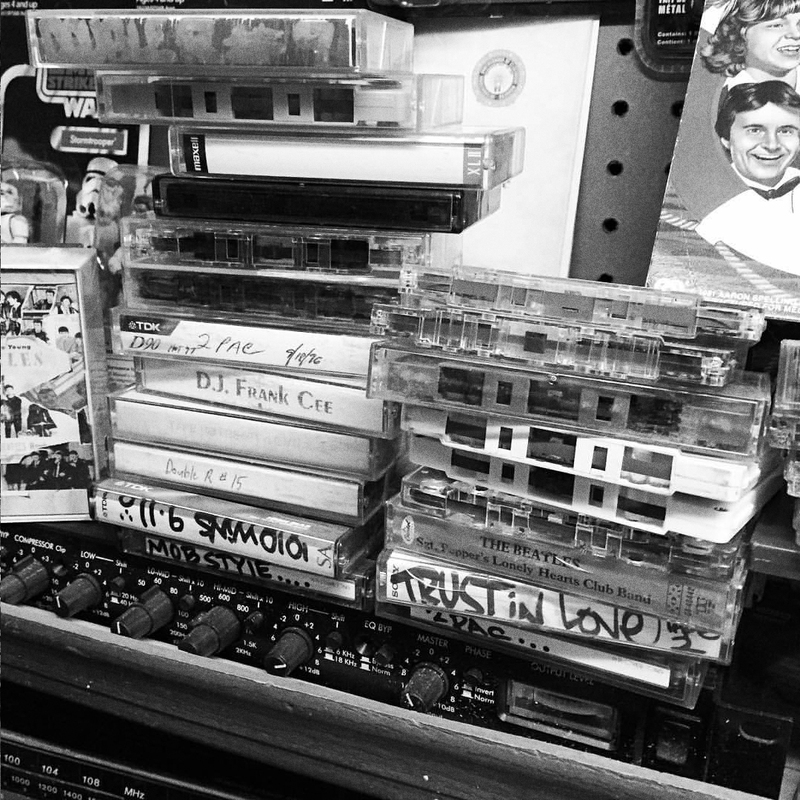 High school was all about making tapes and practicing in the basement. I had a collective group of friends that were all in to it. They were either rappers or DJs. I would make tapes and spread them around my high school and neighborhood. I didn't think about getting in the music biz, I just thought about being better at what I was doing. The best advice my father gave me regarding careers was keep doing your music thing but make sure you have a job or a plan B to pay your bills. Solid advice. What was plan B? Plan B was following my family's footsteps and becoming an electrician. My great grandfather, grandfather and father were all proud union electricians in NYC. I’ve kept up the family tradition. Moving on from DJ’ing and making tapes when did you decide to dabble in beat making/production? Was it just for your own pleasure or a greater goal? Around 19 years old I got a 6 second Gemini sampler and a Tascam 4 track and started making little beats and loops to incorporate in my DJ tapes. But It just made me wanna be able to do more so I eventually got an MPC 2000 when I was about 21 I think or somewhere around then. I didn't have big goals set at that time. I just wanted to become a master of the MPC and make things that moved me. Can you recall the first beat you made? The first beats I made on the 4 track were loops from ultimate breaks and beats records combined with some samples. 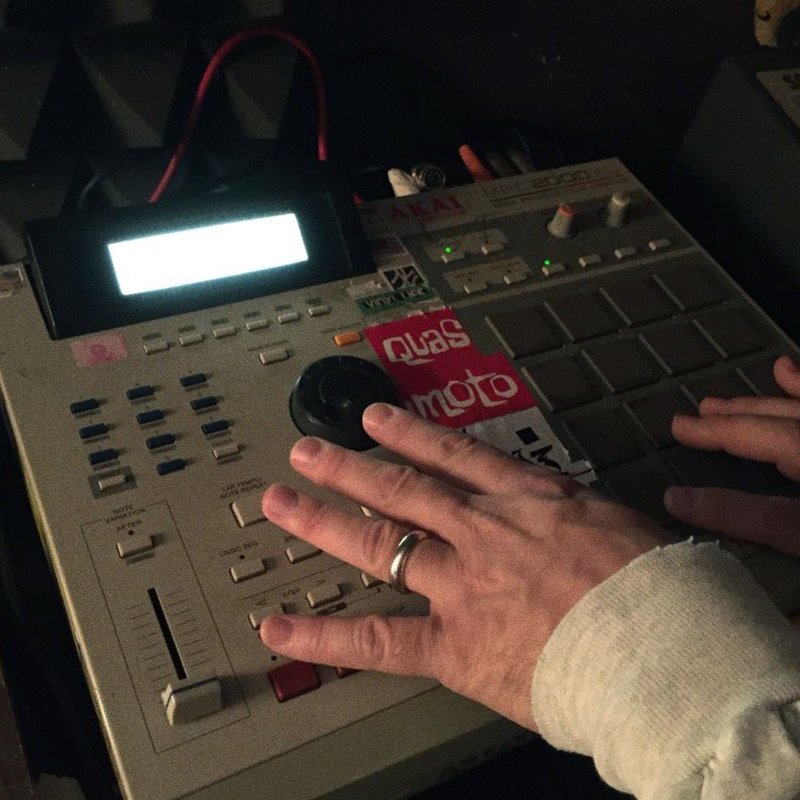 My first beat on the MPC I think I still have some where…. It was simple kick, snare and sample. How did you go about accumulating samplers and other gear etc? Did you have a weekend job for example? As far as beat making goes who were (and still are) your inspirations? Did other genres away from rap inspire as well? My inspirations were the greats like Premo, Pete Rock, Lord Finesse & DITC, DJ Muggs and Q-Tip. Later on it was Dilla who inspired me in whole new ways. I was also inspired by other genres though. From James Brown down to Isaac Hayes and Curtis Mayfield then to Sun Ra. Listening to Jazz records and going to the Blue Note in NYC to see legends also changed my approach over time. The way they blend together and seem all as one is something I try to do. I try make the drums and percussion one with the bass and samples. But in the end it's all music and life in general that inspire me to create. When did you decide to actively pursue production at a higher level? By that I mean get involved with local cats and their projects. Where did you get the confidence to step things up? I started doing more serious projects after a couple of years of making beats. I Started making songs with my friend Abdul Jabar and my other friend Cern of the YMI crew. My confidence came from knowing that what I was doing was different and that I really liked it myself. How did the connection with the legend AG come about? Tell the story because I reckon cats want to know. He’s to me is one of those MC’s/artists who is as creative as he was when he first dropped. What was it like working with him? Myself and A connected thru being from the Bronx and grinding with music in 2006. I met him via a music partner of mine who had an idea of getting him on a track. He reached out to A, we all got together to do a record. It's really crazy how things happen in life. I never expected to work with someone like A. He was always such an inspiration to me. When I first recorded him I was so impressed by his ability but also his humbleness. We just hit it off and kept at it from that day. He was genuine and really took an interest in what I was doing. To me he is a legend, so just being able to record with him was an amazing experience but once I got to know him that wasn't even the half. He has changed my life in many ways & made me a better person, besides all the opportunity he has blessed me with. I always say that i'm very thankful to have the mentors I had in the beginning of getting into the music biz. There are so many potholes and snakes in this. I came in this game with AG and Roc Marc and both of those brothers guided me and made sure I was straight. I have been blessed. AG is such an interesting person and his depth is unmeasurable. We connected over music but his influence in my life was rather big. He also opened my mind to business and thinking bigger. When we first met I had so much untapped music and have been working for so many years just for the love and art of it. We would spend countless hours in the basement going over stuff I had, ideas making songs and sketching out projects. Before we even opened the company or shopped a project we had all these projects on deck. Red Apples 45: what was behind the label formation? Was it a desire for control of your own product? Red Apples 45 came to be in a very natural way. AG, Party Arty and myself had a bunch of music recorded and project ideas at that time. What do you think to the resurgence of tapes within the culture? I'm not sure exactly. It may be due to the generation now pushing things grew up on tapes. It might be the art direction options and people in the graphic design industry. I’m not too sure. Do you have some cassette tape gems in the stash? I still have Kid Capri tapes and some other classic DJ mix tapes. I have Stretch & Bob’s last show. I have a sealed copy of AZie (MobStyle) street wise tape. I have all my tapes from childhood and most of them are intact. I also kept a boom box after all these years and bump tapes in the lab at times. When tapes started resurfacing I was happy. They are an important part of the culture. Was it always a goal of Red Apples to release music on cassette or did the aforementioned resurgence prompt it? Honestly it wasn’t. The first new tape that made me wanna make a new tape was the good brothers Timeless Truth. That inspired me . How involved are you in the art concepts, designs and tape colours? I ask because they all have a distinct look and feel. I am heavily involved with the art. I feel it's been a signature of ours. The over all package matters to us. How did you get involved with Strictly Cassette? I became friends of Mark from SC & Jazzsoon through social media. I have always really admired SC's releases. All the artwork was always so on point and crisp. I copped most of the releases but when I heard the Jazzsoon Taxi tape I was blown away. It was right in my lane of things I wanna hear. I'm truly honoured to link wit SC and have tapes that are associated with great artists like Jazzsoon. What’s the background on Pianos in the Projects. How did it come about? At that time I was heavily into sampling piano and making stuff that all sounded empty. Pianos with low bass and high percussion. It gave me the title idea. I shared my idea with AG and he was into it. We started recording an LP under the umbrella. After it was all recorded we had so many songs. That's how we came to the idea of releasing it on 45s and making a box set. It became a theme more than an LP. What was it about Pianos In the Projects that made you want to release it in collaboration with SC? I’d been thinking about it for a while. I thought it would transfer well as a collection. A lot of those songs went under the radar too. We put those out independently and on 7inch. It's nice to have them all together with a fresh look. Plus it's some of my favourite stuff we did. It was a great time for us and Party Arty was all in. The energy was really electric at that time. 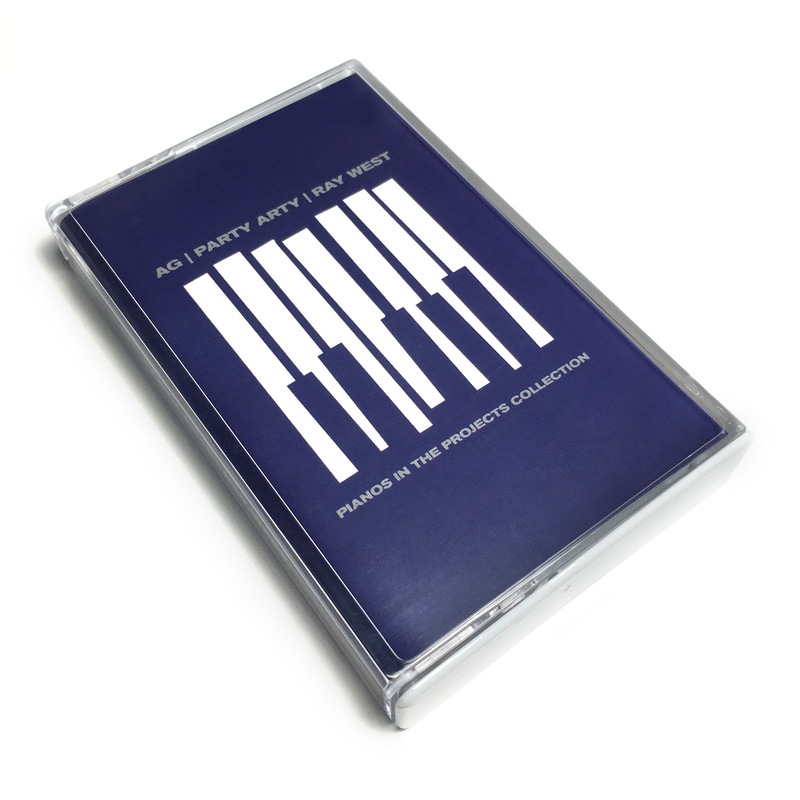 MAKE SURE YOU COP THE LIMITED EDITION CASSETTE OF PIANOS IN THE PROJECTS! AVAILABLE NOW WHILE SUPPLIES LAST!